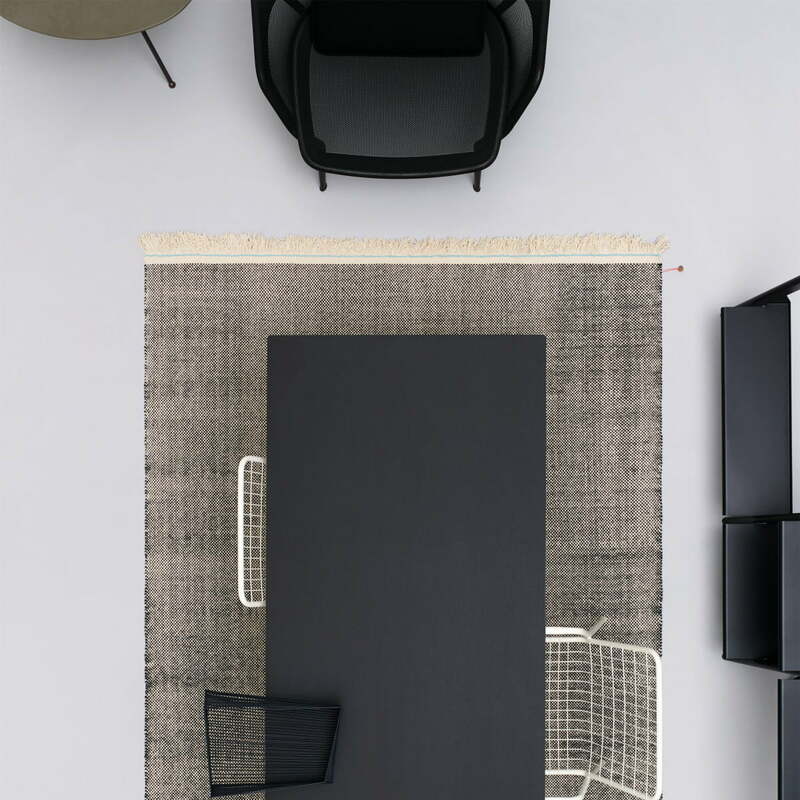 The Duotone carpet by Kvadrat convinces by its simplicity. The duotone consists of only two colors. The mixture of both creates an expressive carpet. 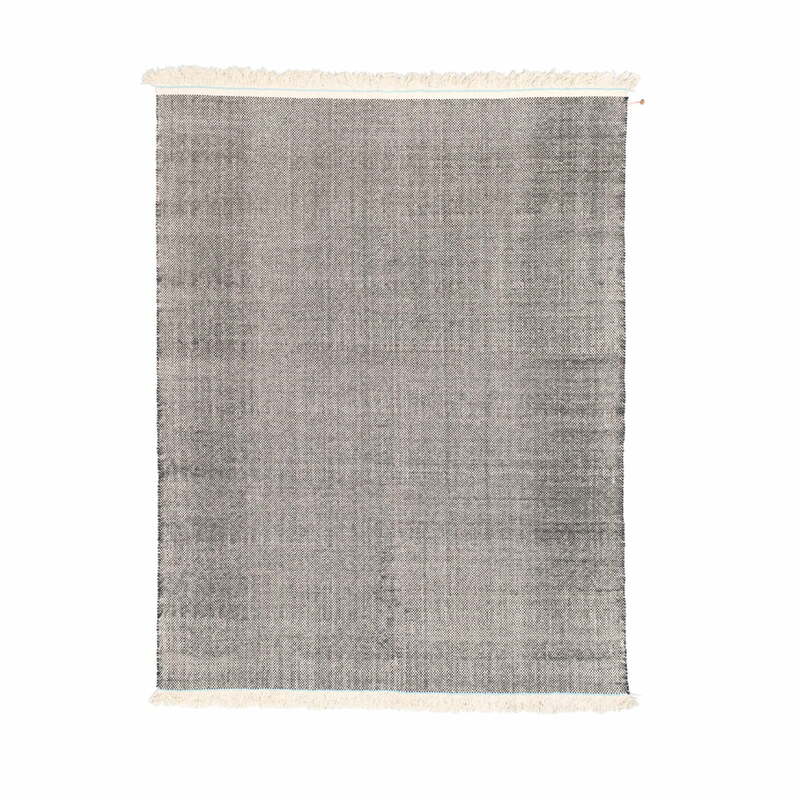 Thus Jongerius also refers to the iconic fabric Hallingdal 65 from Kvadrat. This is also a basket fabric and available in many different colours. The different thicknesses of the yarns and the contrasting colours give the carpet an appealing irregularity. Duotone brings colour to any room, but is discreet as the mixture of yarns reduces its intensity. The carpet is handmade from New Zealand wool by experienced weavers in India. The carpet is available in different colours and sizes. Details Irregularities are a sign of manual weaving. Fringe length 7 cm at upper and lower carpet margin.